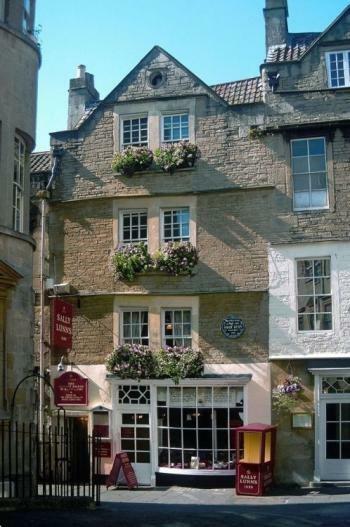 It’s good to meet you, Avis, and welcome to Sally Lunn’s for Tea and Talk. Hello, Joanna, it’s lovely to meet you too, and thank you so much for inviting me along. I love this teashop; I haven’t been here for years. Yes, I agree, it is. So, now we’re settled, can you tell me a little about yourself? It’s difficult to know where to start. I live in Downend, Bristol, on my own now but I have lots of lovely friends I see regularly, mainly through my writing and painting. I hail from Somerset, growing up on the Tyntesfield Estate, and count myself lucky in having travelled to lots of places in the world including Israel, where my daughter lived on a kibbutz, frequent trips to Spain when she later moved there, and often to America, where one of my sons and his family live. One of my greatest adventures was a road trip taken a few years ago with my son and granddaughter right down America from Phily to Mississippi. It was such fun. And how did you become a writer? I’d always enjoyed reading, and writing somehow became a natural progression. I was initially interested in plays and screenwriting and attended several courses whilst living in Basingstoke, where I worked for a psychiatrist at one of the hospitals there. When I moved back to Bristol, I took a course in creative writing. It was one of the best things I did for not only did I learn a great deal about the art of writing, but I also met a lot of people who have become life-long friends there. I’d recommend anyone who is serious about writing a novel to take a professional course. It is worth every penny. Writing was a means of escape and when going through some difficult times in my life, I would take myself off to a caravan at Clevedon and write, write, write, undisturbed and uninterrupted. Your debut novel A Drift of Daisies was published last year. What influences were there in creating the plot? The plot came about from a short story I had written at one of my classes. Once it was finished, I felt there was more to tell: the reasons and the background as to why my heroine found herself waking up on a psychiatric ward, so set about the story into a full-length novel. I worked in psychiatry, so used my knowledge of the subject within the plot, although in the novel it forms only a small part of the whole. The story centres on Rowan and her philandering husband, and the Mendips, which featured so much in my childhood, became the obvious choice for the setting. Tell us a little about how you came to publish it. Spurred on by my fellow writers in the writing group I am still an active member of, I sent it off to an agent who immediately took it on and found my then publisher (Piatkus). It was very well received with sales in Australia and America as well Europe, and became, and still is, a popular library take out. I did many book signings in Waterstones and several independent books shops, along with library talks, and several radio interviews. Even though I was with a mainstream publisher, the promotional side was very much left for me to arrange, even down to contacting the local press etc. It was at one of these book signings I met Maeve Binchy, and we became firm friends; she was exceedingly supportive of my work and gave me a lot of encouragement with my second novel, Kilkenny Bay. All this was some years ago, long before ebooks were invented. The copyright having come back to me, I decided to relaunch A Drift of Daisies as an ebook, as it was still attracting readers, mostly through the library service, and in particular in Holland. When ThornBerry Publishing, who had to retype the complete novel as the original was bashed out on a typewriter and Piatkus no longer held an electronic copy, offered to take it I was thrilled, especially as they were happy to use my original title (Piatkus changed the titles of both my books) and allowed me a lot of input into the cover. I do love my new cover, the girl depicted is exactly as I had envisaged Rowan. A Drift of Daisies was reissued to bring it to new readers in light of my having written a sequel, which hadn’t been published. This was due to more my editor at Piatkus moving on and the incoming one bringing her own portfolio of authors with her, dropping many of us mid listers who were on the books. Also my lovely agent retired, thus the sequel was never released. I’ve had to rework it since, bring it more up to day and hopefully it will be released later this year. You also have another string to your bow, I understand – writing drama – can you tell us something about that? Well, yes, but I much prefer to call it script- or playwriting. I love writing dialogue, and have been told I have a great flair for it. It comes naturally, whereas I know a lot of authors struggle to write it well. I like to include a more light-hearted element too, the humorous side to life as well as the more serious. There is a lot of drama in my books, but then all writing – be it books, plays or films is “drama”. Scriptwriting is my real, true passion. I love plays and going to the theatre, and until recently was involved in a local drama group too. Several of my plays have been performed on the radio and a couple performed at the Old Vic. One of them was, in fact, the runner up in the playwriting competition that launched the career of Catherine Johnson (she of Mama Mia fame). My play was taken up by an American agent who was at the time in discussion with Miramax Films to produce it, even down to lining up the actors, but like most things to do with films and books, the funding didn’t materialise. I shall never forget the day when Miramax rang me, and my granddaughter, who was visiting from America at the time, answered the phone. She couldn’t believe who was calling. I have almost finished turning that play into a novel which, again, hopefully will be published following the release of the sequel to A Drift of Daisies. Did the drama writing help when you decided to writing a novel? Yes and no. With scriptwriting, you have to be totally disciplined. It is all about the dialogue as this is the only means to tell the story to your audience, thus you have to stay focussed. You can’t get bogged down by description and narrative and things happening off stage, or by what’s going on in people’s heads, it all has to come out through speech. And, more to the point, it’s all about timing, especially when writing for the radio. I do find writing description hard, which is why I admire authors such as Rosie Thomas. She writes wonderful descriptive narrative. Who are the writers you most admire? My all time favourite author is John Steinbeck, I feel a great affinity with him and his writing and his work has greatly influenced mine. I’ve read all his work, some several times. If you were able to choose a career, which would it be – in books or drama? Drama, without a doubt. I would love to see one of my plays as a big London stage production. Oh well, I live in hope but time is running out for me, I’m not young any more. Thank you, Avis, I hope you have enjoyed the visit; it was lovely to meet you. It’s been an absolute pleasure, Joanna, thank you. I really appreciate you giving me the time to tell you and your followers a little about myself. I can’t get to grips with the internet and blogs and things, not even Twitter or Facebook, although my publisher keeps suggesting I do and have offered to help me learn, but at my age it’s doubly difficult keeping up with everything. I don’t have a website yet but I can always be reached through my publishers. A lovely post and great to meet Avis. Good luck Avis with everything which sounds very exciting for 2013. Thoroughly enjoyable article. Avis’s book is a lovely read and am looking forward to reading the sequel. Enjoyed reading the article and also A Drift of Daisies. Good luck with everything you have planned, Avis. Great feature, I loved meeting Avis here at Tea and Talk. Love the way you travelled the world with your kids… and congratulations on relaunching A Drift of Daisies into the 21st century after the rights came back to you, what a fabulous, inspired and courageous thing to day. Wishing you every success!! Wonderful interview. So interesting and informative. Thanks and good luck Avis and happy new year to you and to Jo. Fascinating interview – so much about Avis I didn’t know – and enjoyed her book tremendously.